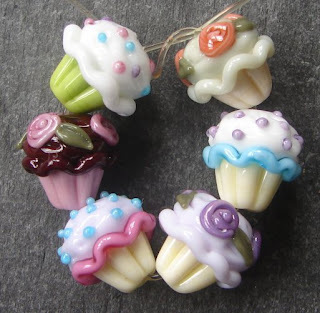 I am on hiatus until Winter 2013.
who create lampwork cupcake beads. to find the level of quality I desire. who crafted the beauties above! I found these latest beads while searching Etsy. 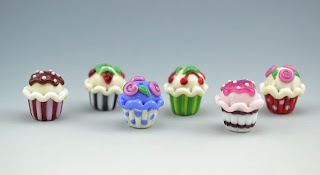 about the level of detail in each portion of the the cupcakes. Jewelry designed with these beauties coming soon!